Ever since I was diagnosed with Adrenal failure five years ago my family has had to adapt and make changes. One of the things we need to do more than ever is work together as a family. Sometimes I am too unwell and other times household chores, cooking and even doing the laundry is just so much easier when we do it together as a family. 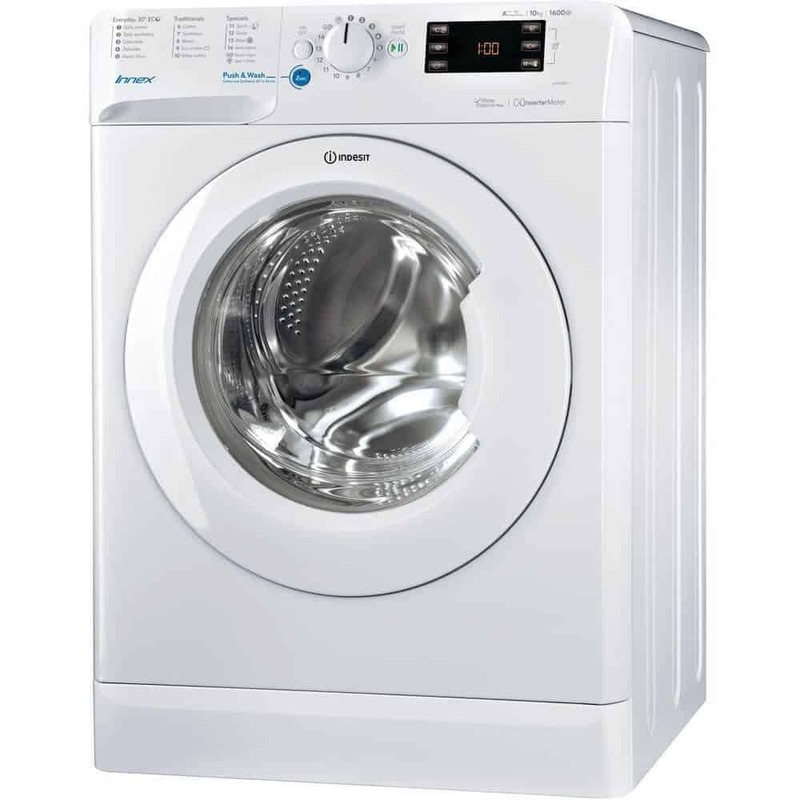 Last month we received a new Indesit Innex Washing Machine. Indesit appliances are designed to simplify daily life with features to help save time money and effort and this new washing machine is sure to make life more easy for the whole family. 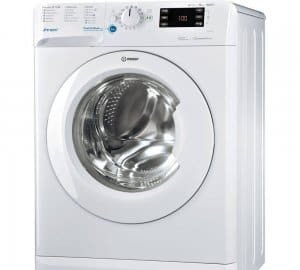 The Indesit Innex BWE 101684X W UK machine is a great family sized washing machine with the capacity to wash large loads. The 10Kg drum spins at 1600rpm and the machine has a number of different programs depending on the clothing and type of wash your wanting. The great thing about the Indesit Innex Washing Machine is that it has an innovative Push and Wash program. This is fantastic for the all the family. All we have to do is press the button for two seconds and the Indesit Innex will automatically start a 30 degree cycle that lasts 45 minutes. Even my daughter can turn on the machine and start a load of laundry. It’s easy and simple and we can certainly do it together as a family. The Push and wash program is ideal for everyday loads. We tried the push and wash program for our whites and they came out clean, fresh and stain free. I was really impressed. I’ve washed quite a few loads now and each time the laundry comes out looking great. I am really impressed. The Indesit Innex has an Ecowash option and a fabulous Rapid 30 minute freshen up option. 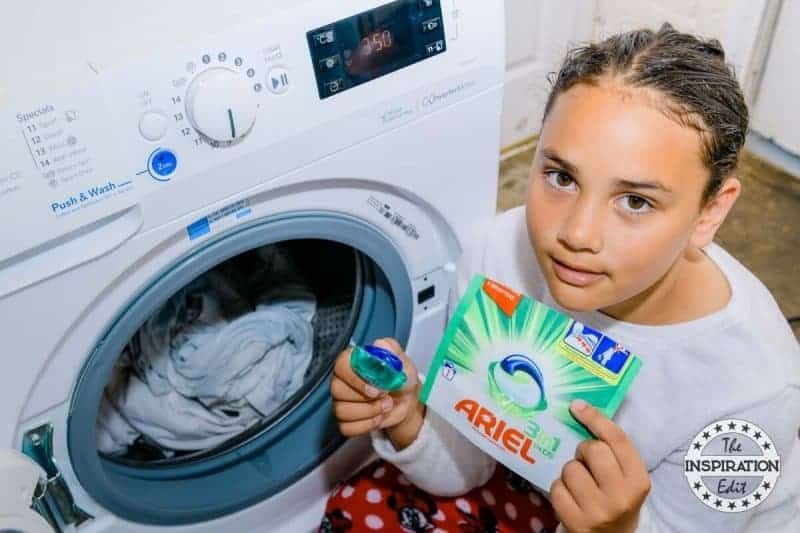 This is great for items that only need a quick wash. You can add powder or liquids to the detergent drawer or you can pop a laundry pod directly into the machine. I am quite an Eco consious person and as a family we don’t like to waste water. 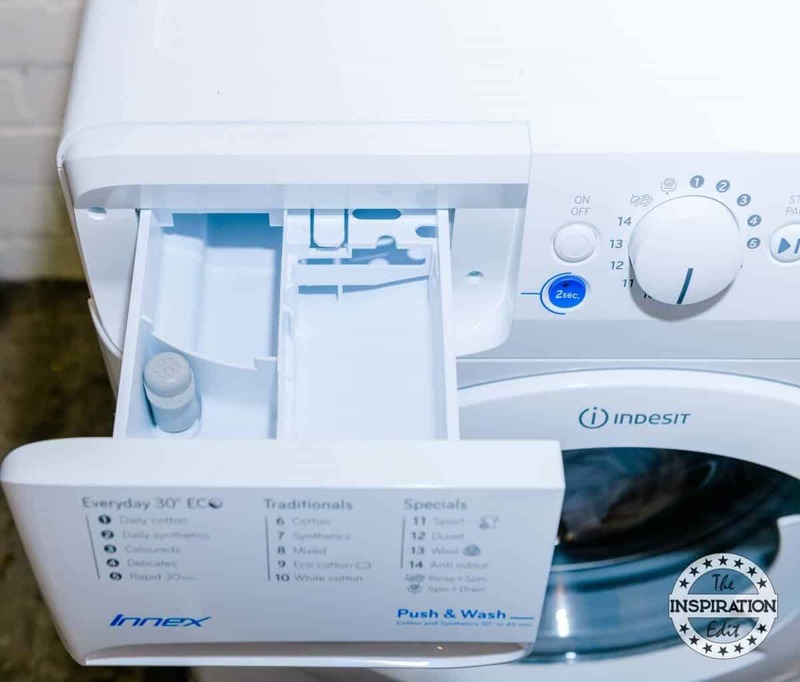 The great thing about the Indesit Innex washing machine is that the machine has Water Balance Plus which means the machine will adapt the amount of water used according to the different cycles and this ensures minimal water wastage. An environmentally friendly washing machine is always a bonus in my home and I am really pleased with this new machine. In our home it is really important that we share household chores. It’s super important because I can’t always do everything on my own and working together, whether it’s my husband helping or my daughter giving me a hand really does make a huge difference. I think having an easy to use washing machine just makes life easier for all of us. We can work better as a family to get the laundry done. My daughter can now turn on the machine and is able to switch the washed laundry from the machine to the dryer and we can all work together to fold and put our clothes away. 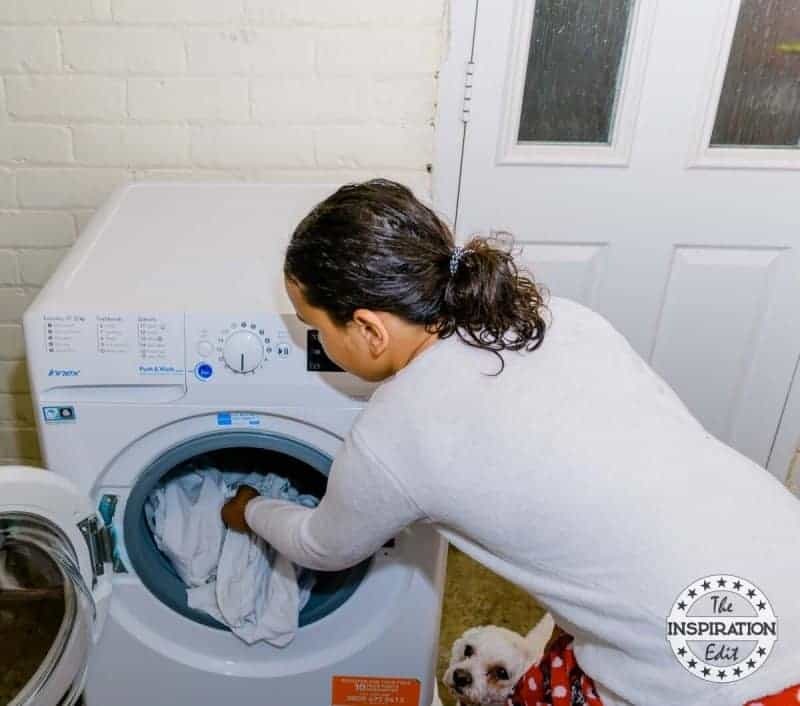 Our new washing machine is making the housework easier as everyone can do it together and we can work as a team to make life easier in the home. 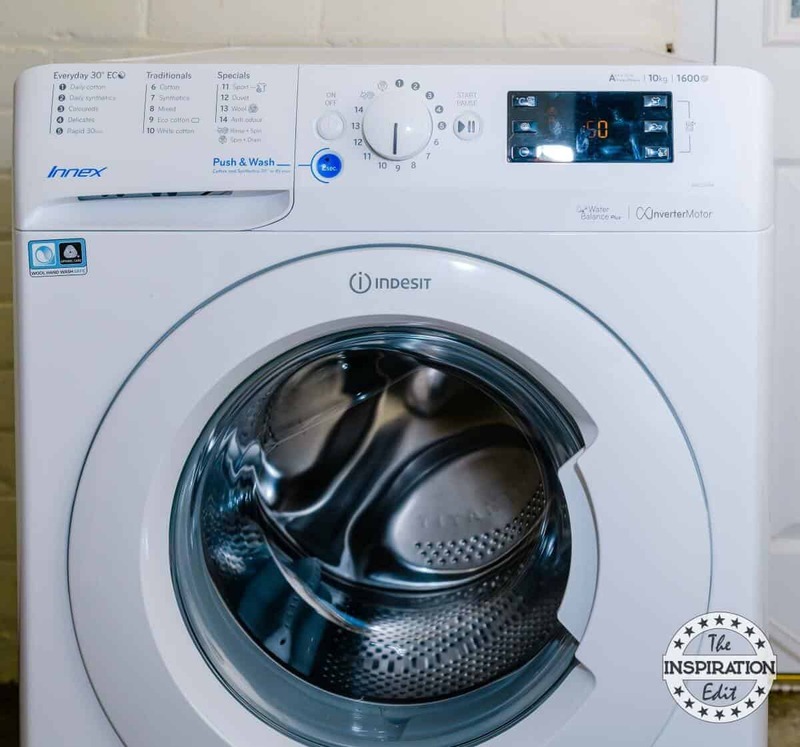 I really do love this Indesit Innex washing machine and am really pleased we had the opportunity to review this product. I have a washing machine that isn’t very efficient. This looks like a great appliance, I would love to switch out ours for something that works well like this! Yes.. I had a rubbish one previously and it leaked a little and was so so noisy. It is lovely to have an easy to use machine that is quiet and works well. We need a new washing machine so badly. I would love to get one like this. I bet! It sure is a lovely machine and does a great job. I’m glad you found a machine that works for the whole family. It really helps when the kids are able to pitch in! Yes. I’m super pleased about the push and wash button. My daughter can now chuck her clothes in the machine and wash them herself! I have exactly the same washing machine! I love the bug drum and the push and wash button. Oh wow. How cool… so you will know how awesome it is! 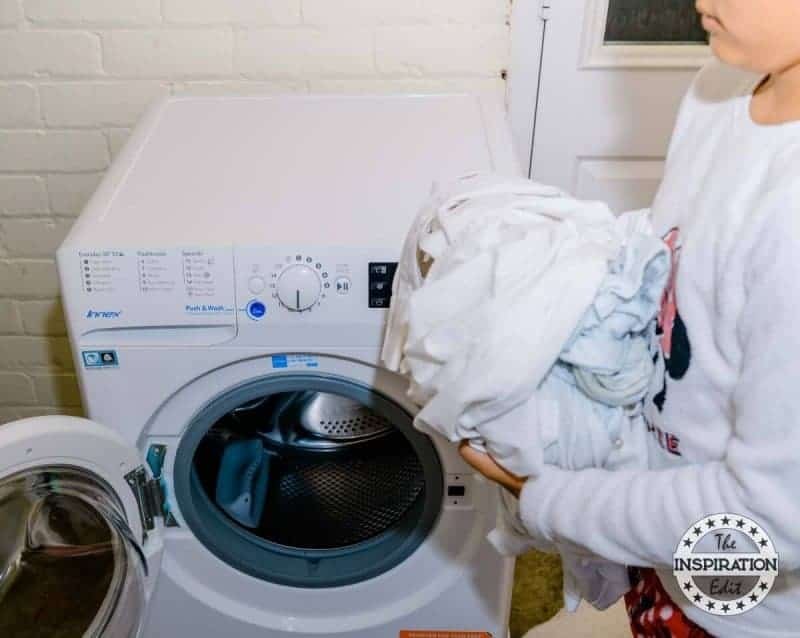 This sounds like a great efficient washing machine Angela and so happy that it’s helping your family keep on top of the laundry and split the chores. Thanks Talya. I am pleased too. good make. I ordered a 10kg and told yesterday it out of stock been waiting ages but never mind. I have an Indesit oven they are good and this looks good too. Oh no… I am sure if you look around you may be able to get one. Good luck. A 10kg is very useful. I wish I would have seen this earlier! We just bought a new washing machine two days ago because ours gave out after only 5 years. If this one gives us any trouble, we’re splurging. Looks like a very efficient washing machine! This sounds like a great washing machine, it isn’t always great when you find an appliance that really makes life easier. This sounds great. We recently got a new washing machine and having a decent one really does make a big difference doesn’t it? The push and wash function sounds great! 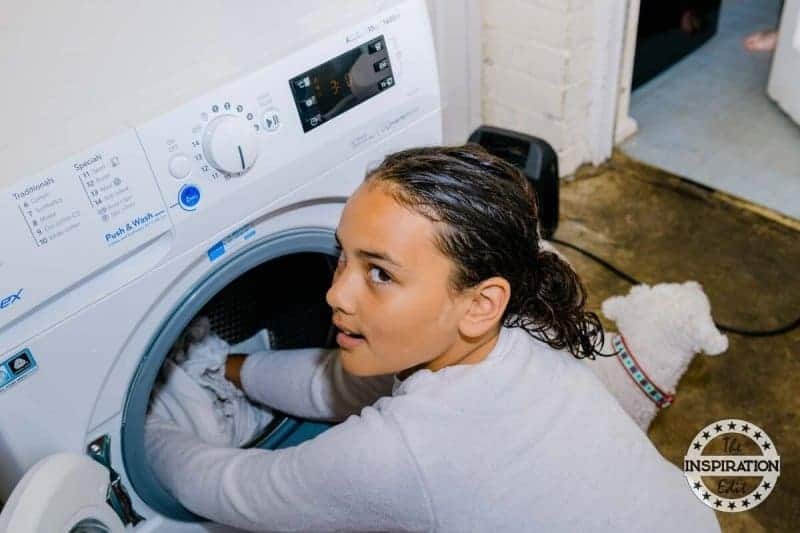 I would love for my kids to be able to help with the laundry.